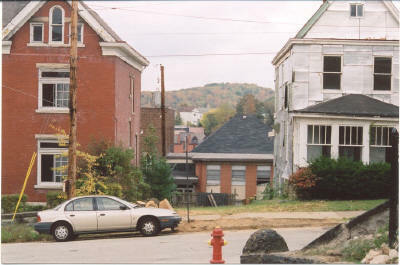 On October 23, 2002 I had the occasion to be traveling through Jeannette, Pennsylvania with my husband, and paid a visit to the Jeannette Public Library. The librarians, Mrs. Porreca and Miss O'Toole were very friendly and helpful. They had never received any visitors inquiring about Vaughn Monroe before, and were happy to indulge me. 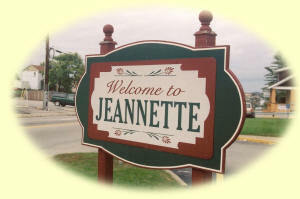 I've included the information they were able to share with me on Jeannette's history regarding a young Vaughn Monroe who lived there with his family during his high school years. 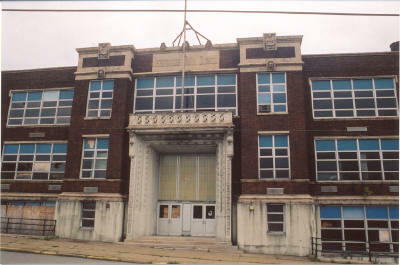 The Jeanette High School that Vaughn Monroe attended was a three-story, brick building with ornate concrete facia. 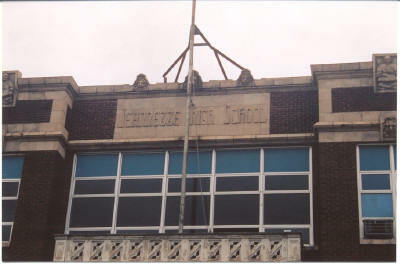 The windows have been "modernized" since Vaughn's day as can be seen in the lower photo taken in 2002. 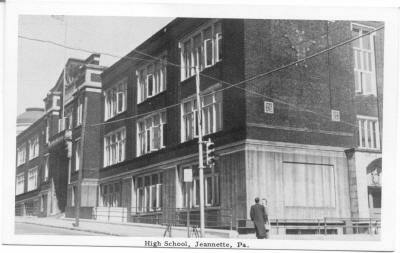 High School, Jeannette, Pa. c. 1940's ? After disclosing the purpose of our visit, we were lead into the archive room, where a picture of Vaughn Monroe hangs on the wall. Mrs. Porreca explained that for the most part, people these days do not know who he is. 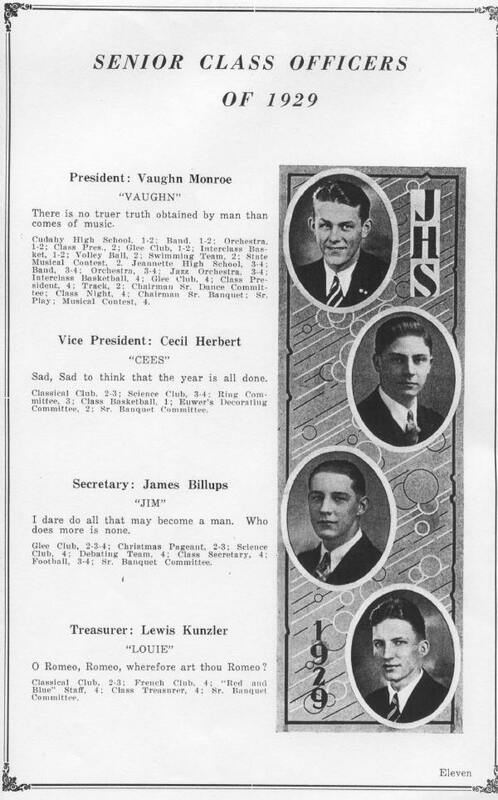 We did retrieve the 1929 yearbook with Vaughn's picture listed under Class Officers. He was the president of the 1929 graduating class, and the list of activities he was involved with makes those of the other class officers look meager! Mrs. Porreca provided me with the postcard of the old high school shown at the top of the page. The building is now in disrepair, but we drove by and took the picture shown at left and the picture below the black and white postcard image. Marian Baughman, Vaughn's future wife, attended Jeannette High School, and we were informed that some of the family still live in the area. The 1928 City directory listed the address of Ira C. and Mabel Monroe as 101 N. 2nd Street. Vaughn Wilton Monroe was listed at the same address as a student. We also had the privilege of meeting John Howard, president of the local historical society. Although Jeannette, PA is more famous for its glass works, he was aware of the Vaughn Monroe connection, and encouraged us to use the library's resources. We shared the information about our website with the library staff, and they provided us with information about the Jeannette Public Library.